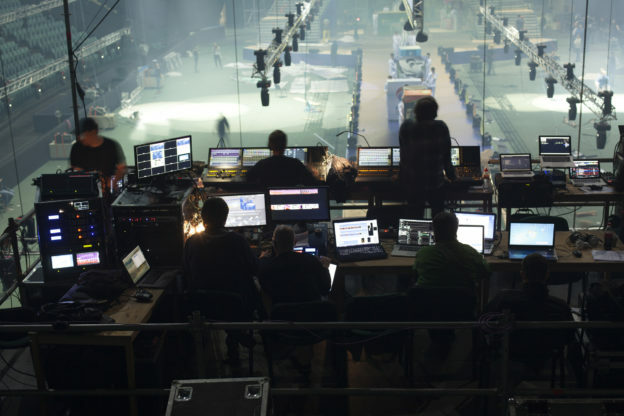 In our fast-paced world, having the best audio/visual technology is everything. It must be able to handle the toughest conditions, both on the battlefield and in a corporate office. It increases a company’s profitability and improves global communication. Innovative AV technology attracts millennials who aren’t afraid to walk away from a job they feel is going nowhere. In fact, 60% say they’re open to new opportunities, with 38% reporting they’re already looking for one. As technology advances and the workforce continues to get younger, businesses must make the latest AV trends a priority. But how can anyone stay on top of it all? In this guide, we go over the latest in audio/visual technology you need to consider for your business. When it comes to awesome new technology, nothing says your business is innovative and progressive like AR, MR, and VR. Industry experts expect AR/VR to be a $108 billion industry by 2021. It will be at the forefront of modern training, marketing, and product design. Companies that specialize in new electronic devices that propel the AR/VR industry continue to make strides. AR/VR was once considered video game tech, but will soon streamline customer service and have firms working smarter. Audio/Visual integration has already taken over meeting and conference rooms around the globe. AV integration fuses the hottest electronics and their capabilities with live human interaction. In simple terms, AV integration uses audio and visual equipment during a meeting to make communication more efficient. An employee at an expo in China can attend a company meeting in New Brunswick with AV integration. The communication gets enhanced through displays, cameras, user interfaces, and much more. AV is already an integral part of a business. This year, experts expect the AV integration industry to grow by 9%. Collaboration is as big of a buzzword in business as the “realities.” Harvard calls it the new business innovation. We’re in the age of the digital deal. That means how we communicate must be state-of-the-art without being too complicated. Today’s control systems are more in-tune with the user which allows change to happen without seeming threatening. Open concept offices, virtual learning, and collaborative training are now simpler and easier. To stay on top of the latest audio/visual technology, you need to partner with a company committed to the success of every project engineered, designed, and maintained. That’s where AVSI comes in. We define your requirements with efficiency. We provide recommendations based upon your needs and scope of every project. Our staff has extensive experience to handle installations of any scale or size. Visit our performance page to find out how we help companies stay on the cutting edge of AV technology. Contact us and learn how we can design and install your system.